know of has acquired the book mentioned above, please note this insert. missing for 24 years, ever since I first published it in 1984. 1. How would you treat a Patient? 2. 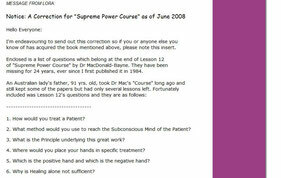 What method would you use to reach the Subconscious Mind of the Patient? 3. What is the Principle underlying this great work? 4. 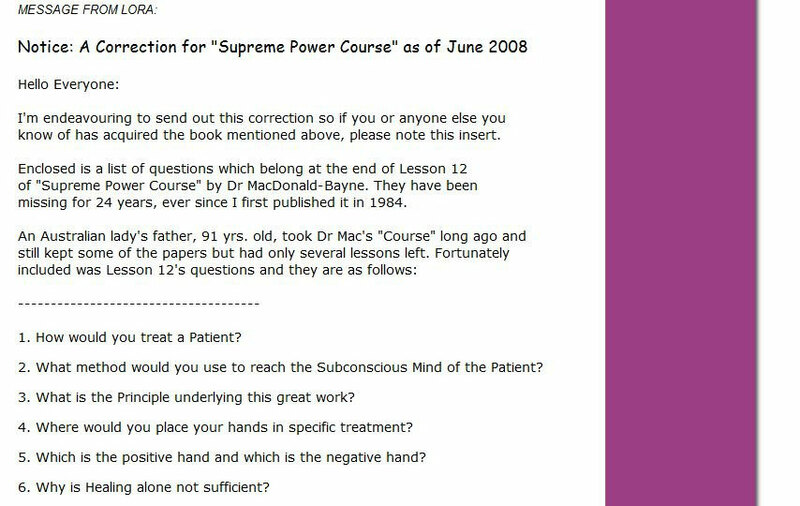 Where would you place your hands in specific treatment? 5. Which is the positive hand and which is the negative hand? 6. Why is Healing alone not sufficient?